The refurbishment of FSH's bag, saddle and scarf department is completed, and the temporary boards which blocked the shop windows along the Rue Boissy d'Anglas' were removed. I almost missed seeing the boards, as I loved the beautiful drawings of Philippe Dumas which covered them. But the splendor of the window displays made more than up for it.. the richness and creativity are simply breathtaking, and makes one long for cool and crisp autumn days! Oh how Glamorous this all looks. The flags are so chic. Thank you for the pictures! 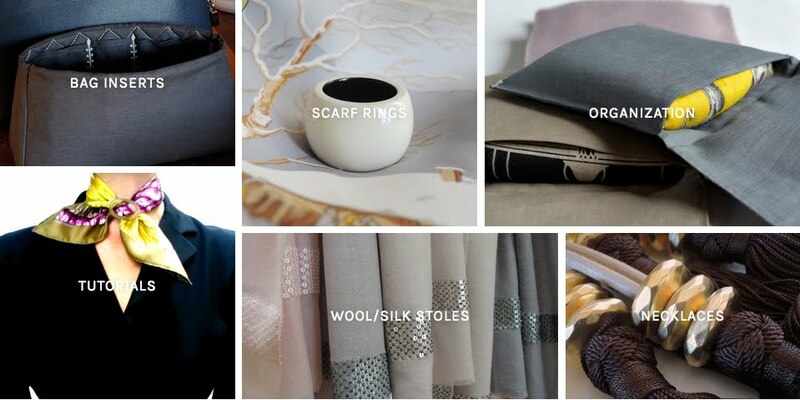 I was waiting for the new displays to show up, so it's great to see them here on your blog! I have a technical question for you: how do you take pictures of windows and not have the reflection of the glass ruin it? The Himalaya Kelly... be still my heart!!!! Stunning! Thank you for those gorgeous photos, you've made my day! 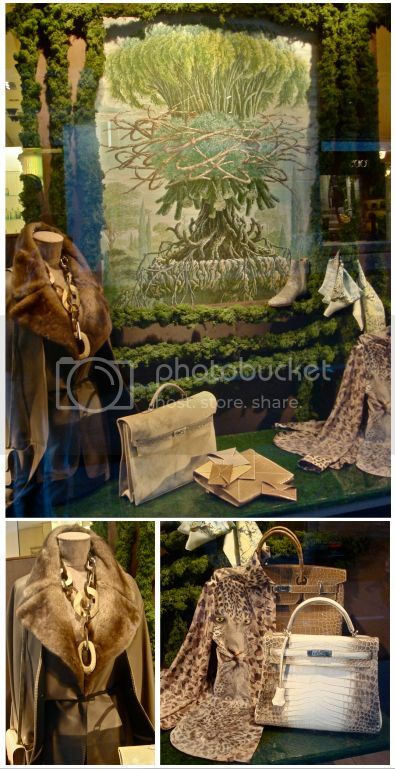 Thank you so much for these absolutely stunning pics of the FSH Autumn window displays!I agree that they are breathtaking! Oh,how I adore Fall especially when seen through your creative eyes. Wow, delicious.... would love one of each. ;-) Thanks for sharing MT. Oh finally the wraps are off! They were still on 2 weeks ago when I was in Paris. 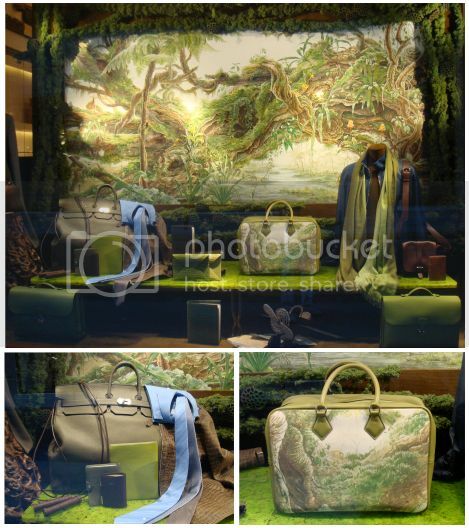 Thanks for showing us the new window displays - they are always very sumptuous! Thank you for the pictures, MT, I hope you had a good time in Paris. Oh, and I tried your snowball knot with a plisse - I loved it and thanks for the instructions! Thank you for the beautiful pictures, dear MaiTai. I feel like leaving for Paris right away. Have a lovely weekend. Hug Manuela. Thank you for your lovely comments, dear ladies. It always is such fun sharing with you, and it's so nice to hear that you enjoyed the update. 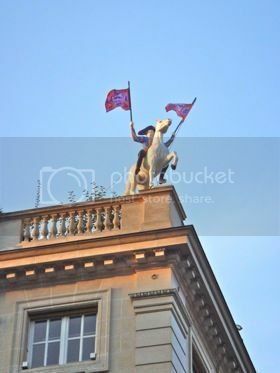 I can't think of more beautiful flags than the FSH rooftops ones, dear FF, glamor et all! Love the combination too, dear Penney, and as I can’t wear it myself, I so much enjoy seeing it on display and on others! Aww, isn’t the HK just amazing, dear GirlMeetsParis! You are very welcome, A.. thank you! Such a pleasure, my dear Trudye, happy you enjoyed the pics of the feast. Autumn here we come! Yes finally, dear Scarf Addict! The gorgeous windows made more than up for the long wait. So great to hear about the snowball knot success, dear Joanne, and what a fabulous idea to try if with a Plissé! Have a wonderful weekend too, dear Manuela. If you’re off to Paris, please take me with you! Love the imagery you have captured in this post MT. The beautiful greens and especially the autumn feast! Thank you for answering my question! I'll follow your advice next time.